I have no idea how I missed this. I'm a few weeks late. 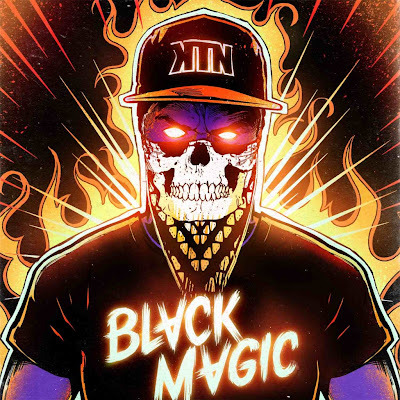 Kill The Noise’s Black Magic EP has been receiving massive attention across the blogosphere. Unsurprisingly, it features a plethora of heavy-hitting tracks and even a collaboration with one of the biggest names in the electro/dubstep arena, Feed Me. My fave record from this release happens to be one of the less dub, more melodic tracks; “Saturn,” that the American artist worked on with extremely new Brillz and Minx. The song begins with a touch of progressive, introducing a spacey dream world full of soft chords and vast expanses. Smooth female vocals help continue the calming sensation, which is all brought down with a killer bassline and dirty dirty shizzle.